Nadia Moidu had made her debut in the Malayalam film industry with Mohanlal's Nokketha Doorathu Kannum Nattu, which was a big hit in 1984. Malayalam superstar Mohanlal and actress Nadia Moidu have teamed up for director Ajoy Varma's next movie Neerali. The duo will be seen together on the big screen after over three decades -- their last film together was Panchagni in 1986. The cast and crew have started shooting in Mumbai. Nadia Moidu essays the role of Mohanlal's wife in the action-adventure thriller. Reports say that actors Meera Jasmine and Meena are also part of the film but it has not been confirmed by the makers. Actors Suraj Venjaramood and Parvathi Nair have been confirmed as the supporting actors, while ace cinematographer Santhosh Thundiyil is helming the camera work. Nadia Moidu had made her debut in the industry with Mohanlal-starrer Nokketha Doorathu Kannum Nattu, which was a big hit in 1984. Meanwhile, Mohanlal's ambitious film Odiyan is expected to be released on October 18. 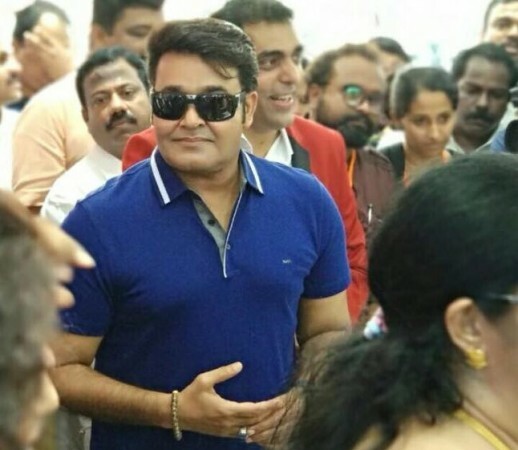 The star has significantly reduced his weight for playing the role of the younger Odiyan Manikyan. #Odiyan's script get registered in Writers Guild America ?